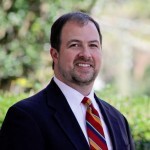 David Jones, Executive Director for Annual Giving & Constituent Development at the University of Georgia, remembers when annual giving campaigns were 2 mailings and a single-ask telemarketing effort. Now, it’s a much more sophisticated operation. In this edition of The Beacon, Jones draws from over 2 decades of fundraising experience to discuss the difference in annual fund efforts today vs. 20 years ago, the benefits of an annual fund, developing segmentation strategies, reaching millennials, tips for designing annual fund websites, and other ways to increase annual fund giving each year. David Jones has built a 22-year career in higher education and served in advancement roles for the majority of that time. He is knowledgeable and experienced in annual and major giving, alumni programs, fund raising systems, non-profit board development and strategic planning. Jones is a frequent presenter and facilitator at professional regional and national conferences.